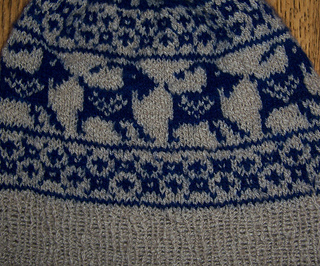 A fun cap for men or women (fits average adult) has cashmere goats chasing each other round this colorwork cap (two colors worked in each round). 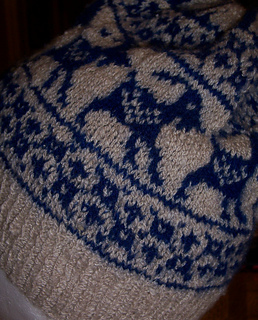 Shown in cashmere blend (mc) and 100% cashmere, this cap needs approx 100yds of each to make this cap that blocks to a 17-inch unstretched rib band and a 9-inch height. 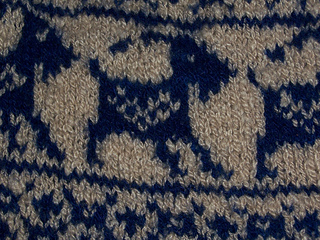 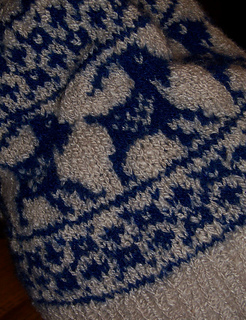 Directions are written out, but the colorwork portion requires the ability to read a colorwork chart (included).